Waking up in the middle of the night is no big deal. We all do it from time to time. Is it annoying? Absolutely. We all need a quality 7 to 8 hours of shuteye. But your eyes popping open at midnight, 2 am, 3 am, etc. generally doesn’t indicate anything health-wise. A few of us, however, seem to wake up at the same time, every night. Coincidence? Perhaps. After all, the brain often has a mind of its own, and counting “ticks and tocks” while setting its own strange internal alarm isn’t beyond comprehension. When we have an established routine, our brains will adapt, and remind us of what needs to be done and when. This is a scientifically-proven fact. It’s when our brain and body is all of a sudden thrown off course that we take notice. This includes an enigmatic sleep/wake cycle. 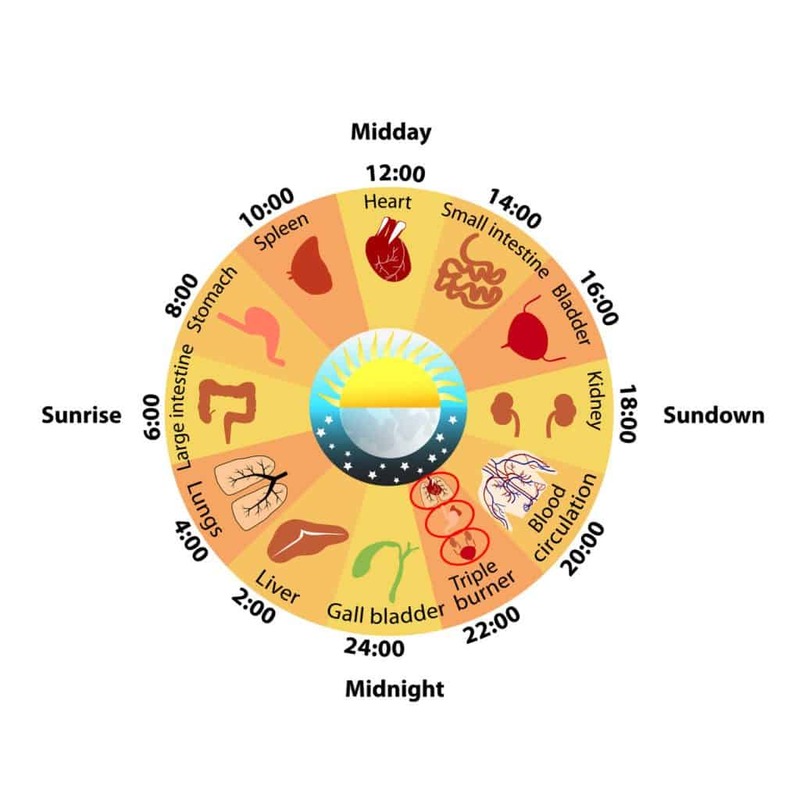 Chinese medical texts dating back to the 13th century observed circadian rhythms far before Western medicine. 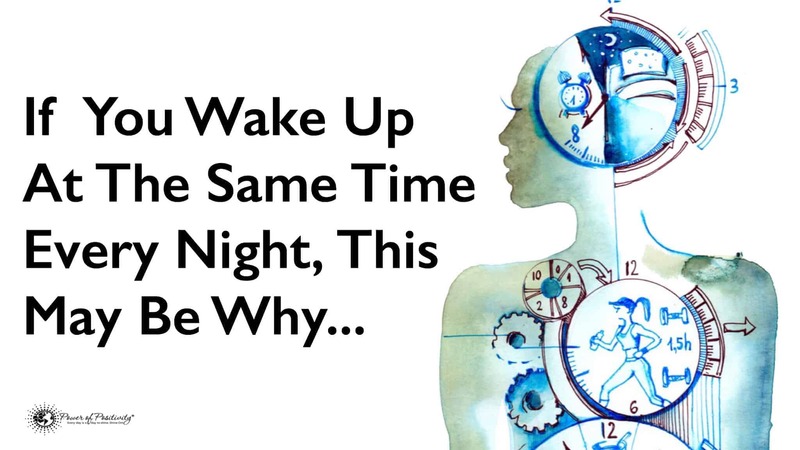 The main difference is its premise – that our internal energy (called chi or qi) moves throughout various points of the body at different times during the 24-hour circadian cycle. Disruption of internal energy at any point during the circadian cycle can manifest into emotional, mental, or physical health problems. This is a potential health issue, as each system within our body must possess the ability to recover and regenerate. Here, we focus on circadian theories as proposed by Chinese medicine. More specifically, the Traditional Chinese Organ Body Clock. We’ll discuss a few abnormal sleep patterns, along with the rationale for each. During this two hour window, arteries and blood vessels are highly active. Problems with either arteries or blood vessels can indicate a myriad of health issues. Problems with adrenal glands, metabolic function, immune system, or thyroid could be the underlying cause. Psychologically, elev ated stress levels, confusion, or paranoia may also prevent you from falling asleep. Solutions include meditation, deep breathing, or some other type of relaxation exercise. Most people with advanced knowledge of anatomy and physiology (e.g. internists) know that the gallbladder is most active at night; especially during this two-hour window. Between 11 PM and 1 AM, the gallbladder is actively breaking down any fats consumed during the day. Psychologically, judgmental feelings towards self or others; a sense of resentment; and a lingering inability to forgive someone can trigger wakefulness during this time. Solutions include a leaner diet, meditation, and the practice of acceptance and forgiveness – of both yourself and others. Between the hours of 1 and 3 AM, the liver is busy flushing out any harmful toxins (read: Alcohol). Certain medications can also force the liver into overdrive, making it difficult to stay asleep. Nutrition and dietary habits are imperative as well. 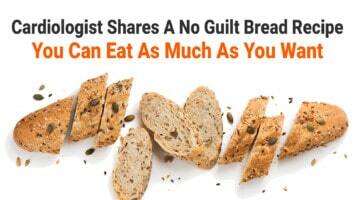 Some say that this time correlates with underlying feelings of anger and guilt. When our mind and body experience the sensations that anger and guilt produce, it is very hard to stay asleep. Solutions include a healthier diet (get rid of excess fats and simple carbs); reduce alcohol consumption, especially before bedtime, and practice being mindful. The lungs are busy distributing oxygen to other systems in preparation for the day ahead. Like the liver, the lungs are also working to expel any accumulated toxins. Individuals with lung problems are susceptible to coughing and wheezing during this window. Feelings that may be involved include melancholy and grief. Depressive symptoms can also be triggered during this period. Solutions include a healthier diet (consuming foods that promote lung health); quitting smoking, and finding a healthy outlet for any underlying feelings of grief, sadness or depression. It is during this window of time that our minds are transitioning to “work mode.” Thoughts or feelings about one’s lack of progress, or anxiety about the upcoming work day can trigger wakeful impulses. Make sure that you’re drinking plenty of water, as this helps with intestinal cleansing. Make sure your nutritional priorities are in order, as well. As for the negative thoughts, practicing moment-to-moment mindfulness and gratefulness will help ease some of these worries. Lu, G., & Needham, J. (2002). Celestial lancets: a history and rationale of acupuncture and moxa. London: Routledge.